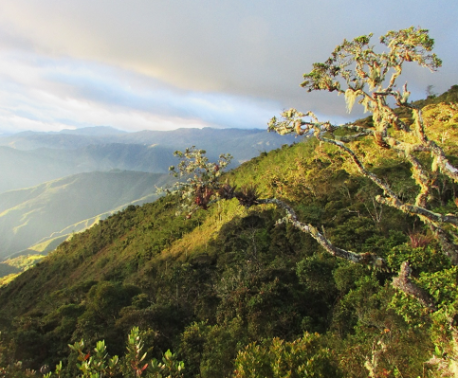 After two years of work by World Land Trust’s Peruvian partner Naturaleza y Cultura Peru (NCPeru), an area of the largest cloud forest in the Piura region has been recognised by the Ministry of Environment as a private conservation area (Area de Conservación Privada or ACP). 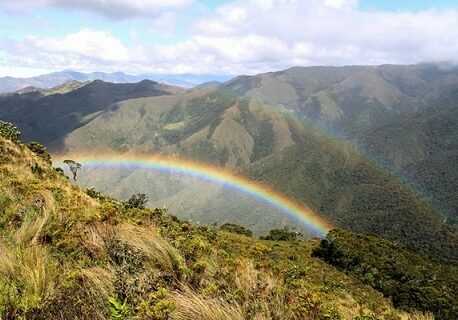 The ACP, Chicuate-Chinguelas, is 66,954 acres (27,095 hectares) of Montane Forest and Páramo habitat which will now be protected legally in perpetuity by the local community of Segunda y Cajas. World Land Trust (WLT) and partner NCPeru are supporting the establishment of several ACPs down the border of the Andes to form a corridor protecting biodiversity between the mountains and the upper Amazon basin. Chicuate-Chinguelas Private Conservation Area is the first of three ACP projects WLT is supporting that has been recognised by Peru’s National System of Protected Areas. The Montane Cloud Forest and Páramo ecosystems of Chicuate-Chinguelas are part of the Tropical Andes Corridor and lie between Tabaconas Namballe National Sanctuary in Peru and Yacuri National Park in Ecuador. 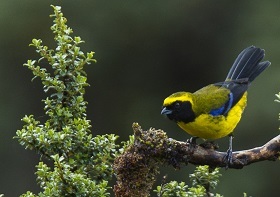 The Tropical Andes region is home to many endemic species, including the Masked Mountain–Tanager (Buthraupis wetmorei), and flagship species such as the Spectacled Bear (Tremarctos ornatus) and Mountain Tapir (Tapirus pinchaque). In Chicuate-Chinguelas they have 487 plant species, including several timber species of high commercial value and local traditional medicine use, 162 bird species, 44 mammal species and 15 reptile species. The area is a priority for conservation due to its high ecological and economic importance for the local population, and the formation of ACPs protects the corridor from threats such as slash and burning, logging and illegal mining. Chicuate-Chinguelas has been recognised in perpetuity, and will now follow a master plan agreed by the community and monitored by the National Service of Protected Areas to ensure the area remains protected and sustainably managed. World Land Trust would also like to thank the generous support from Puro Coffee and TapirApps in getting this project completed, and Puro’s continuing support for the Tabaconas ACP application. 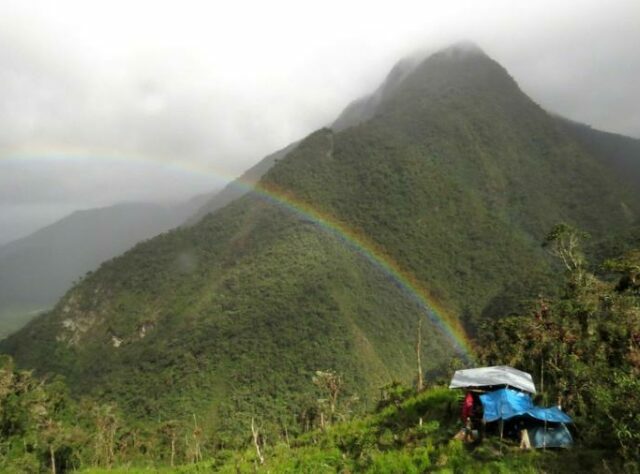 If you would like to support the work behind the ACP applications for the neighbouring communities Tabaconas and Sallique to secure more of the Tropical Andes Corridor, you can donate to WLT’s Action Fund, and specifying in the comments box that the donation is for Peru.